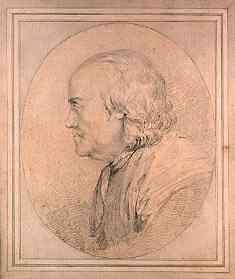 Benjamin Franklin witnessed many of the most significant changes in modern history during his long life. Born in Puritan Boston just a few years after the Salem Witchcraft Trials, he lived to be one of the leading figures in the worldwide Enlightenment. A loyal patriot to the English monarchy in his youth, he became a leader in the revolution that separated America’s ties with his once-beloved England. Society, politics, culture, science: each changed during Franklin’s life, and each influenced and was influenced by his life and work.